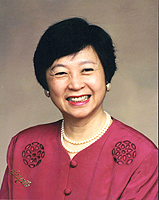 Ching-chih Chen is an educator, administrator, consultant, and speaker in the field of Digital Information Management and Technology. After her 10-year administrative experience, and 39-year teaching, research, consulting and speaking activities, she became Professor Emeritus of Simmons College in June 2010, and President of Global Connection and Collaboration, Inc. (GlobalCC), a non-profit tax-exempt 501(c)(3) organization. Her incentive to form GlobalCC is to follow-up her illustrious activities throughout her career, particularly in the last decade, by creating universally accessible world heritage and cultural knowledge bases through the use of cutting edge technology, and promoting better global education and training for young professionals.